This area of the site provides links to other websites and sources of family history information. Please note that the links are provided for your convenience, and do not constitute any form of endorsement or recommendation by the Society. The aim is to provide only the most useful links to our visitors, and especially those with a focus on family history sources in Lancashire. These holdings are vast - about 12 kilometres of archives dating from the early 12th century to the present day - this is the official county record office, and a must visit for everyone involved in family history. Information about local archives and history resources from the County Library Service. The Lancashire Life And Times E-Resource Network allows you to search Community Information and in any or all of the following databases which are provided and maintained by the Reference Departments within Lancashire County Library: armed forces index; obituaries index; transactions index; newspaper index; census index; parish registers index. These online versions of Old Maps of Lancashire were produced by The Environment Directorate's Archaeology Service. This is not clerks to Parish Councils, but a volunteer project to provide free online access to records from Lancashire parishes for family and local historians. A searchable database of around 250,000 index records to help find the will of a person who died in Lancashire from the mid sixteenth century to the early nineteenth century. Records found in the index don't guarantee a will can be found, because not all wills were microfilmed due to the fact that many were lost or destroyed. Lancashire Place Names Survey LPNS was formed by Mary Higham in 2000 in conjunction with Lancashire Record Office to collect the early word-forms of Lancashires place names. Fianna Guide to Irish GenealogyThe legendary Fianna of Ireland were a band of mighty noble warriors. Entrance was governed by strict tests and codes of honour. Yet the Fianna also had to be knowledgeable of culture, and more specifically they had to be poets. The Fianna Study Group for Irish Genealogy tries to bring the finest values to you through this web site. Bury are covered in Volume 5, being parts of the Hundred of Salford. This website has some very useful, simplified maps of the parishes and townships in the Hundred of Salford. These maps have been redrawn from the VCH and clearly show the townships within each parish. These are a great help in understanding some of the oddities of the 1841 Census. The Rossendale branch is the founder member of The Lancashire Family History and Heraldry Society, being formed in 1973 as The Rossendale Society for Genealogy & Heraldry and holding its inaugural meeting on Saturday 28th April 1973 at The Trevalyan Club, Broad Street, Bury, Lancashire. 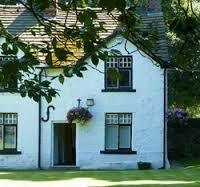 Monthly meetings were also held at The Bishop Blaize Hotel, Burnley Road, Rawtenstall. When the Society adopted its present title on 1st January 1985 it was decided that the Rawtenstall group should become the Rossendale Branch and the Rawtenstall meeting transferred to its present meeting place - Longholme Methodist Church, Bacup Road, Rawtenstall, where it meets on the first Wednesday of each month at 7-30pm. The Lancashire Heraldry Group was set up to further the study of heraldry both in Lancashire and in general, and also to act as resources for the Lancashire Family History And Heraldry Society to refer questions which arise concerning coats of arms, crests and other items armorial. The Societys Chorley Research Centre is at Astley Hall Farmhouse. North Meols (Southport)FHS are a small society, formed in November 1990. The group meet locally and provides support and encouragement to those people with an interest in family and local history in the area of North Meols, as well as trying to help with genealogical research. North Meols was an ancient parish comprising the two townships of Birkdale and North Meols (which included Churchtown, Crossens, Marshside and Banks). The parish comprised much of what is now Southport. As was common at the time, the name of the parish as a whole was also the name of the township containing the parish church. In this case the parish church of St Cuthbert is situated in Churchtown, a central position within the North Meols township. Lathom and Burscough Military Heritage Society offers research facilities for those wishing to find out about friends or relatives who have served in the armed forces. 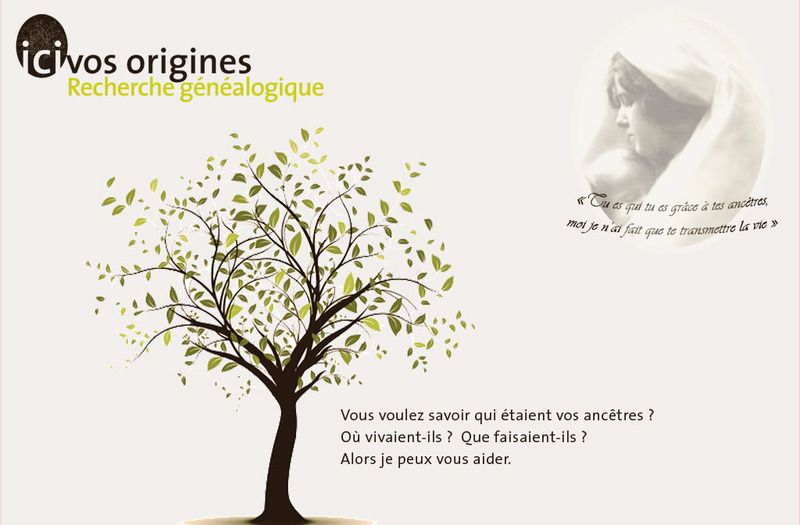 This website is run by an English Genealogist living in France who can conduct research there. Click on the Union Jack for the English version of the website. Our Family History Site Main surnames: Bentley, Blaney, Boocock, Collins, Fitton, Hodkinson, Hurlow, McCulloch, Mortimer. Associated surnames: Baird, Brindle, Campbell, Cheatham, Clough, Corker, Ditchburn, Donnison, Forster, Garside, Gregory, Harrison, Hitchen, Howard, Humphrys, Jones, Keader, Milliken, Morgan, Rees, Smith, Thomas, Thomson, Turner, Weaver, Wilson. Main areas covered: Cheshire, Lancashire, Ireland, Pembrokeshire, Scotland, Yorkshire. The Brankin-Hatfield Family Tree The ancestral surnames on my father's side of the family are: Brankin, O'Hara and Clenaghan from Northern Ireland; Brankin, Harrison, Howarth, Lee and Warburton from Lancashire. On my mother's side of the family the ancestral surnames are: Hatfield, Brewin, Harris and Nicholes from Middlesex; Baigent from Hampshire; Terry and Selby from Kent; Baigent, Cooper, Collyer, Ewens, Miles and Sleet from Surrey. My Lancashire Ancestors Photos of east Lancs churches & War Memorials & extracts from a Gallipoli Diary. Also Family History in Pendle & Blackburn, surnames include Briggs, Hartley, Livesey, Livingstone, Parkington, Starkie, Wilmore. Harling Ancestry & Heraldry Anyone who bears the name Harling will find something here to interest them. Researching my own family origins led me to an area where the name Harling in the North-West of England was first recorded in 1379. Church & Oswaldtwistle Census and HAWORTH family data Transcripts of all HAWORTH (and some other names)census data 1841-1901 with information on many members of the various local HAWORTH families. A one named study site for the surname Myerscough. 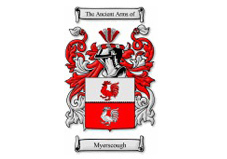 The Myerscough One Name study Website is dedicated to the people worldwide researching the Myerscough Family name. Neville Ormerods Family Site Results of the research relating to my family in Lancashire, Derbyshire & Yorkshire - names include: ORMEROD, SMITH, ASHWORTH, PILLING, NUTTALL, HOLDEN, LOMAX, WILKINSON, HOWARD, LORD, KAY, CLEGG, HACKING, HODGSON, AKED and HOWARTH from Bury, Rochdale & Rossendale; ELLIOTT, EVANS, MARSHALL, BARBER, MORTON, JENNINGS, BOCKING, MIDDLETON, JACKSON, WORSELEY, POYNTON, HILL, CHEETHAM, BRADWALL, WRAGG and FOX from North Derbyshire and BELL, HODGSON, MOORE, TUNSTALL and RIMMINGTON from North-West Yorkshire. It is hoped the website will be updated on a regular basis. Family History Fun A family history blog featuring artticles on my Lancashire ancestors - Rawcliffes of Hambleton and Dansons of Poulton-le-Fylde. Tattersall Family Tree The tree consists of over 1300 individuals in over 380 families. The website is constantly being updated and includes many photos and documents. The Tattersall line has been traced back to around 1650 in Newchurch-In-Pendle who moved to Summerseat, Bury about 1845 and later Manchester. Harlings & Tattersalls from Rawtenstall & beyond! A web site dedicated to the history of mine & my wife's families with some family folklore & photos. The Harlings can be traced back to the Wharton area of Lancashire in the early 18th c. Other names in the tree include the Stopforths from Lathom, and Leaches of Pendleton, (which go back to the Lancashire Witches era). My maternal line are Tattersalls from Accrington, which again go back to the early 17th c, which have links to Purdys from Norfolk & Langleys from Cambridgeshire along with families from the Bury area. They came together in Rawtenstall in the mid to late 19th c.
My wife's family are Millers from Coventry, Pendleburys from Bolton along with Newtons, Brierleys, Bromleys & Smiths from Manchester, Oldham, Rochdale & surrounding areas in Lancashire and came together in Middleton in the late 19th & early 20th c.
My family tree on this site contains over 283 family names 3188 separate people records with 149 photos. Within its pages you will find many interesting people, Bus Company owners, Mill Managers, Birdhole of Bury residents, owners of Entwistle Hall, Turton and surrounding areas. Others up & down the line of ancestry branches are jewellers/silversmiths, a cotton mill owner of Wapping Street, Darwen and apparently a bit of a rogue, an influential family of paper mill and paper printing owners, councillor and Mayor of Darwen, a Coach Builder who became Co Founder of Blackburn Rovers Football Club, Co Founder Football Leagues, Referee FA also known as the “Prince of Referees”, International referee, Boot & Shoe manufacturing, Mayor of Horwich, right down to the present day. Here you find the owners of the prestigious jewellers BOODLES (Boodle & Dunthorn), the Principal of the prestigious Langlands Boarding School, Chitral, Hindu Kush, Pakistan near to the border with Afghanistan who also teach girls thus suffering from sexual and racial tensions that exist in the area at present and best selling writer and international journalist. A Priest with a 1600 square kilometre parish in Australia, land owners in Canada Australia and Kenya, the first family to grow pineapples in Kenya supplying the once famous Del Monte brand and all the tea that PG Tips could take, the person who established the first artificial ice plant in Williamstown, Massachusetts, USA, and much more.